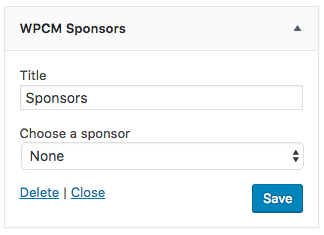 The WPCM Sponsors Widget is used to display a sponsors logo in any widget area of your site. Enter a title for your widget. Leave blank to have no title. Select a sponsor from the dropdown list to display in your widget.